At Piedmont Dent Repair in Mint Hill, NC we specialize in the process of paintless dent removal so that you don’t have to rely on costly insurance fixes for your bodywork. Many types of bodywork often require the use of your vehicle sitting in the shop for hours or even days. Using the latest in technology we can help you get back on the road quickly with paintless dent removal in Mint Hill North Carolina. The process of paintless dent removal works effectively while avoiding compromises to the finish of your vehicle. If you have an area that has been affected by hail damage, we can provide hail damage repair that doesn’t require the removal of body panels or the extensive work traditional bodywork typically calls for. Our hail dent removal and paintless dent removal in Mint Hill North Carolina can even be done at a remote location. If you’ve noticed a dent on your vehicle, contact us immediately and we can come out to your location to assess the damage. We can complete a quote on site and then perform the mobile dent repair on site with your confirmation. It’s our goal to deliver industry-leading pricing on mobile dent removal and to provide you with the top experts for quick service. Our mobile repair unit is available to help with minor dents or hail damage. With the help of our skilled dent removal experts we can help you maintain the value of your vehicle and avoid the chance that you might have to pay expensive insurance premiums. However, if you desire to go through your insurance company, this method is approved. We back our work completely as well. 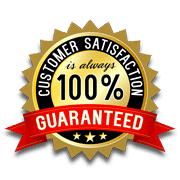 With a satisfaction guarantee on all of our paintless dent removal in Mint Hill North Carolina, it’s our goal to make sure our customers leave happy. We will reattempt the dent removal process or bodywork if for some reason you are unsatisfied with the job that we complete. Contact Piedmont Dent Repair today for more information on our paintless dent removal in Mint Hill, NC.